Here is an original uniform patch from the occupation at the end of the second world war. This is the classic pattern of the United States forces that occupied Austria after the Second World War. 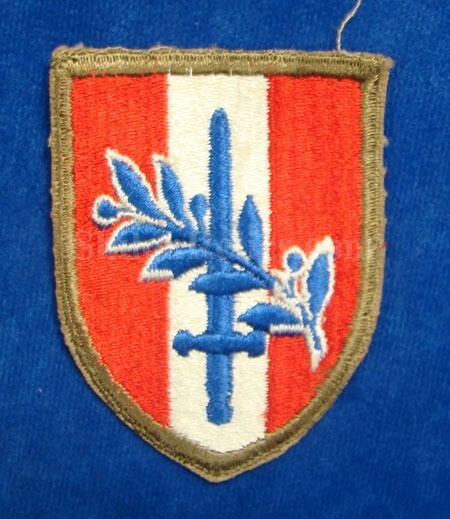 It has the red and white colors which are the Austrian national colors as well as a sword an olive branch to represent the peaceful occupation by American forces. 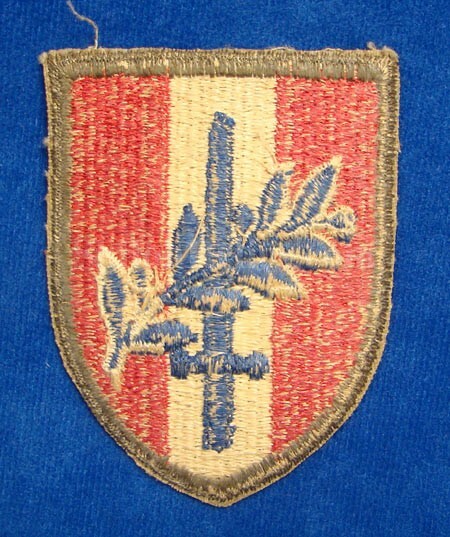 The patch book states that these were worn from August 18, 1945 until June 27, 1958.